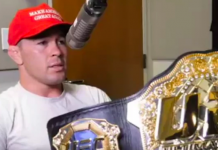 Colby Covington returns to recap his eventful weekend in Las Vegas at UFC 235. 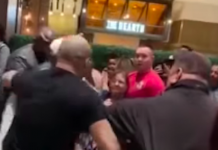 Many agree that Covington stole the show in usual “Chaos” fashion. 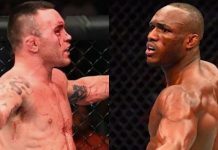 From crashing Kamaru Usman’s open workout, to harassing Dana White, causing a ruckus cage side, and almost getting into a brawl in the casino buffet line after the fight, we’re going to cover all that and much more with Colby, including his thoughts on a now looming matchup with Kamaru. Alexander Volkanovski returns following the announcement that he will be facing former featherweight kingpin Jose Aldo at UFC 237 in Rio on May 11th. Volkanovski has seemed indestructible in his last few outings, most recently as he finished Chad Mendes, sending Chad into retirement. We’re going to discuss the importance of this matchup with Aldo as it pertains to Volkanovski’s title aspirations and more. 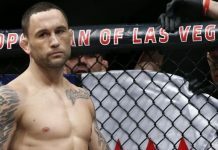 Dan Lambert closes out this episode in his first appearance on BJPENN.COM Radio. The founder and owner of American Top Team has helped groom countless of the top combat athletes in MMA, and we’ll be discussing the gambit with Dan in this lengthy but enjoyable conversation. 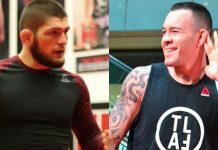 From the rise of Colby Covington, to the future of Amanda Nunes, and the upcoming title shot for Dustin Porier. Plus everything in between.